The innovative formula of liberating the brutal power of the body, which contributes to an intense workout. One serving is a mixture of up to 15,3g of active ingredients, which take over control of the organism and its cells are pumping so hard that begin to crack a single muscle fibers! Extrifit E.NOX is an innovative formula of liberating the brutal power of the body, which contributes to an intense workout. One serving is a mixture of up to 46g of active ingredients, which take over control of the organism and its cells are pumping so hard that begin to crack a single muscle fibers! Incredible dose of 7 grams of arginine provided in one portion tear your muscles, which in the next workout will be even more bulky and grease than before. Additionally, included in the composition of the 3 forms of creatine (including Alfa-ketoglutarate!) Will guarantee you a significant improvement of strength and dramatically improved durability. Excellent vascularization - the effect of which you can expect at the end of cycle E.NOX. Certainly you will not find anywhere else equally strong product that you WILL gain muscle mass and a significant improvement in the definition. 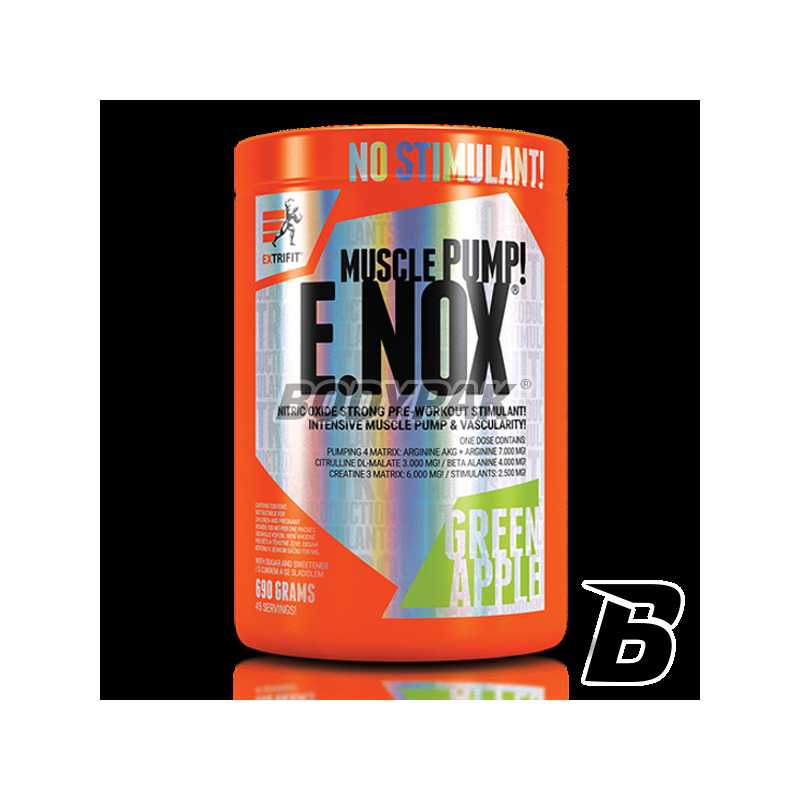 Supplement E.NOX this is not a product designed for wimps. Use it only should a person who is no stranger to the fear of a large muscle mass. Do you want to know the pain at the gym? Take the E.NOX, and your previous workouts will be gone! 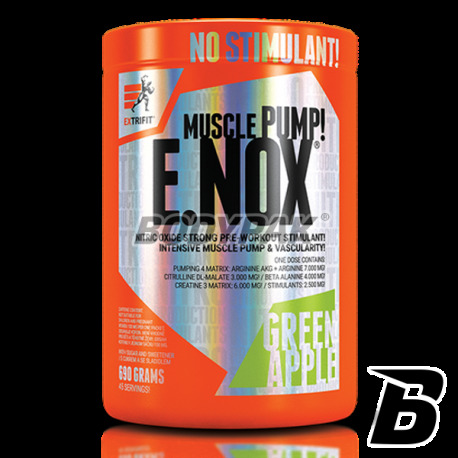 Ingredients: l-arginine AKG, beta alanine, l-citrulline, creatine AKG, l-arginine base, creatine monohydrate (CreaPure), tricreatin apple tartrate, taurine, green tea extract (40% natural caffeine), caffeine anhydrous. Other Ingredients: dextrose, maltodextrin, palatinose (isomaltulose), citric acid, aroma, sucralose (sweetener), beta carotene (dye).